What makes a supernova truly “peculiar?” In this review we attempt to address this question by tracing the history of the use of “peculiar” as a descriptor of non-standard supernovae back to the original binary spectroscopic classification of Type I vs. Type II proposed by Minkowski (Publ. Astron. Soc. Pac., 53:224, 1941). A handful of noteworthy examples are highlighted to illustrate a general theme: classes of supernovae that were once thought to be peculiar are later seen as logical branches of standard events. This is not always the case, however, and we discuss ASASSN-15lh as an example of a transient with an origin that remains contentious. 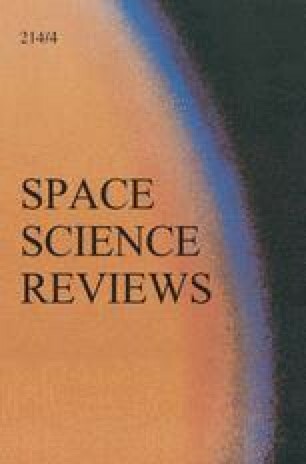 We remark on how late-time observations at all wavelengths (radio-through-X-ray) that probe 1) the kinematic and chemical properties of the supernova ejecta and 2) the progenitor star system’s mass loss in the terminal phases preceding the explosion, have often been critical in understanding the nature of seemingly unusual events. D. M. & R. M. thank ISSI organizers for their kind invitation to the Supernova Workshop in Bern. D. M. acknowledges support from NASA through grant number GO-14202 from the Space Telescope Science Institute, which is operated by AURA, Inc., under NASA contract NAS 5-26555. R. M. acknowledges partial support to her group from NASA through NuSTAR grants NNX17AI13G and NNX17AG80G. Partial support for this work was provided by the National Aeronautics and Space Administration through Chandra Award Number GO5-16064A and GO6-17054A issued by the Chandra X-ray Center, which is operated by the Smithsonian Astrophysical Observatory for and on behalf of the National Aeronautics Space Administration under contract NAS8-03060. We especially thank Roger Chevalier for his help and patience preparing the manuscript. We thank J. Andrews and N. Smith for sharing their iPTF14hls spectrum before publication. We also thank G. Terreran for sharing Keck observations of iPTF14hls. This work is based in part on observations from the Low Resolution Imaging Spectrometer at the Keck-1 telescope. We are grateful to the staff at the Keck Observatory for their assistance, and we extend special thanks to those of Hawaiian ancestry on whose sacred mountain we are privileged to be guests. The W. M. Keck Observatory is operated as a scientific partnership among the California Institute of Technology, the University of California, and NASA; it was made possible by the generous financial support of the W. M. Keck Foundation.